Yellow phosphorus, the main ingredient in phosphoric acid manufacturing, is mostly found and produced in Yunnan, Guizhou, Hubei and Sichuan provinces, where are also the main origins of phosphoric acid. 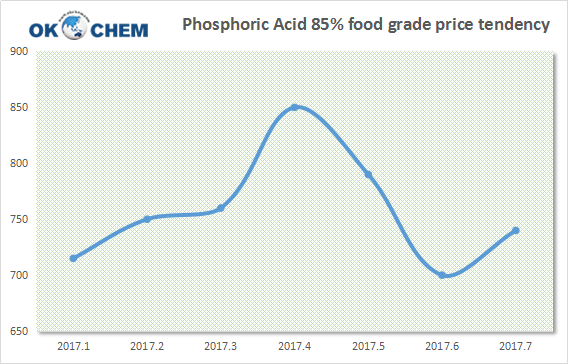 85 Phosphoric acid (85% Content, food grade) FOB price was mostly at USD 740 per metric tonne in 2016 and slightly lower in Q4. Since February 2017, the phosphoric acid price is climbing and reached USD 850 per metric tonne in April. After the peak price, the price of Phosphoric acid starts going donw. It reaches the bottom in June, and start increasing in July. According to statistics from UN Comtrade, China was the third biggest export country of phosphoric acid and polyphosphoric acids (HS Code 280920) in 2015 sorting by export volume, after the Morocco and USA. China exported to 118 countries and regions in 2015, at total amount of 600.3 million kilograms, or 455.3 million U.S. dollars. 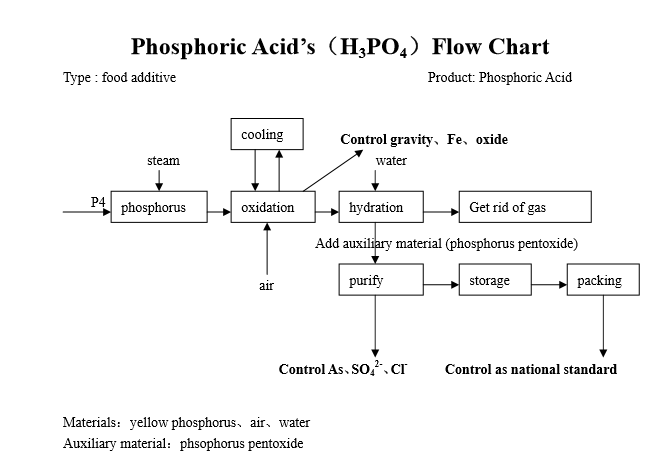 Yellow phosphorus is the main ingredient in phosphoric acid manufacturing. 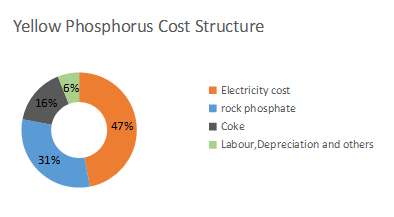 Electric costs counts almost 50% of total cost in yellow phosphorus manufacturing, therefore, electricity supply and cost play an important role in yellow phosphorus processing, besides the costs of ore itself. As China greatly relies on hydroelectric power, the cost increases and the factoring running rate decreases in drought seasons. Yellow phosphorus is mostly found in Yunnan, Guizhou, Hubei and Sichuan provinces. In China, the consumption of yellow phosphorus is just after phosphoric acid, phosphorus trichloride, red phosphorus, phosphorus pentasulfide, hypophosphite, hexametaphosphate and phosphorus pentoxide. OKCHEM is an innovative, specialized, and reliable chemical B2B platform, dedicated to providing convenient and safe chemical trade and one-stop solution to chemical suppliers and buyers globally, and increasing the value of international chemical trade.